For my fellow comic book geeks... It is confirmed! After weeks of teasing and speculation, Marvel Comics revealed that the much-anticipated new Hulk is none other than kid genius Amadeus Cho. That's right. The Hulk, one of Marvel's most popular, enduring characters, is Asian American. 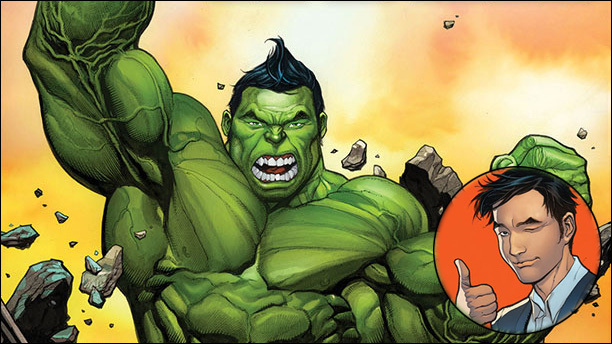 Amadeus Cho will take over Bruce Banner's mantle when Totally Awesome Hulk #1 hits shelves in December. On top of all that, the series will be written by Grek Pak and drawn by Frank Cho, marking the first Marvel title in history to feature a Korean American lead character, writer and artist. 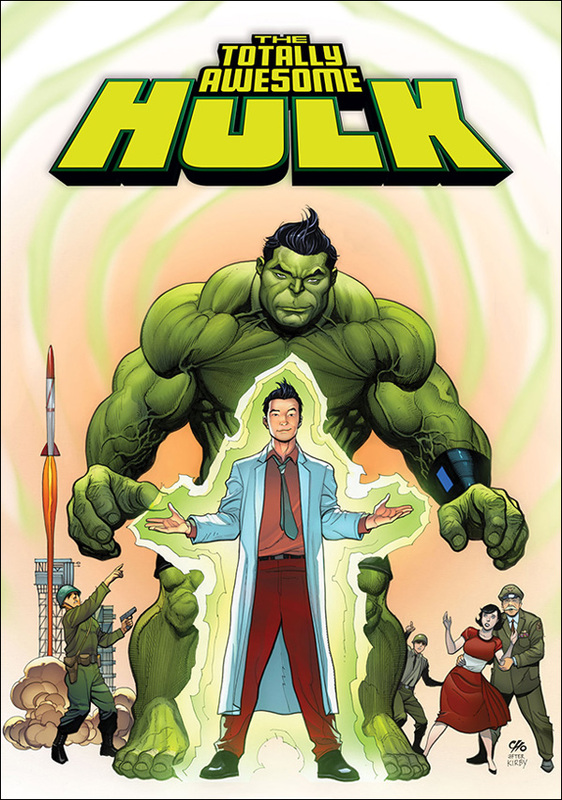 A gifted super-genius -- it's been noted that he is the seventh smartest person alive -- Amadeus Cho has been a fixture of the Marvel comic book universe for the last decade, playing a major role in Hulk storylines. In many ways, this character, and this combination of creators, are the perfect fit for the future of the Hulk. Greg, can you talk about returning to the Hulk in this way and what it means to be able to work on a character that's so close to your own heritage? PAK: I actually co-created Amadeus back in the day, 10 years ago — it's coming out around the 10th anniversary of the character's first appearance. [Ed. Note: Cho's first appearance was in Amazing Fantasy Vol 2 #15, January, 2006.] And Takeshi Miyazawa was the artist and I was the writer, and we introduced this Korean-American kid into the Marvel Universe. It's been a blast to write ever since. We did a lot of stuff with him over the years in the Hulk universe. This is also a character, by the way, who has a long history with Banner and the Hulk. He basically started out as Hulk's number one fan because he's a crazy teenager with as little impulse control as the Hulk, so he kind of identified with him. But the character always meant a huge amount to me. When I had the opportunity to create this new character, I realized there aren't specifically that many Asian-American characters at this time in the Marvel Universe, and it was sort of a niche. I also wanted to write a character who talks a lot. I was writing a lot of Hulk stuff, I was writing very closed-lip surly characters. But it's been tremendous. I go to cons and people come up to me dressed as Amadeus Cho, and that blows my mind. And then the character's also been picked up in some of the cartoons that Marvel puts out, and in one of the DVD movies they did. It's kind of tremendous when anything you work on kind of resonates with people and goes on to be used by other creators as well. The other thing is that this felt like a natural next step for both the Amadeus and the Hulk stories. It wasn't what we imagined 10 years ago when we created the character, that this is exactly where he would end up. But just given the character's history, it makes total sense. And the story is totally true for both the Hulk story and the Amadeus story, so it's a lot of fun when those kinds of things can naturally come together for something this big. Can't wait to read this. Totally Awesome Hulk #1 will be available in December.